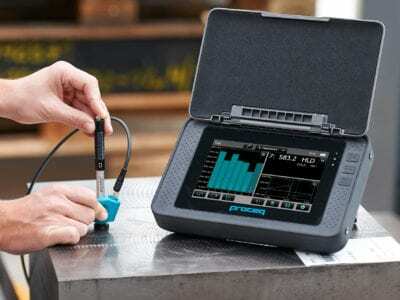 The Proceq Equotip 3 is a portable, non-destructive metal hardness tester offering a wide range of capabilities and ease of use. 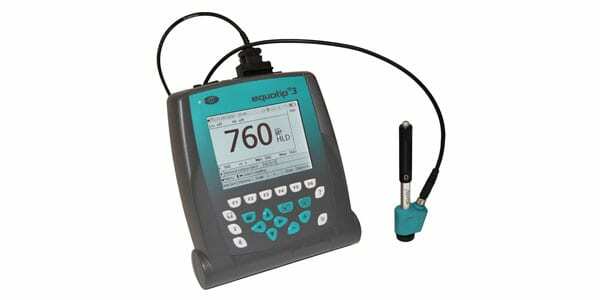 The Equotip 3 can be used to measure most metals and is especially useful in reaching difficult to access or confined testing locations. 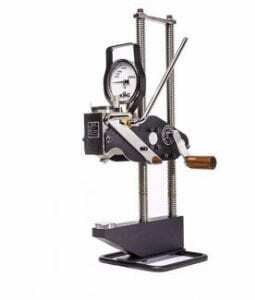 This instrument is accurate on flat or curved surfaces, and is ideal for testing heavy and large equipment components before and after installation. The large LCD display offers a clear overview of scanned values and can be clearly seen even in low-light work areas. Use password-protected profiles for quick and easy change of test setups. 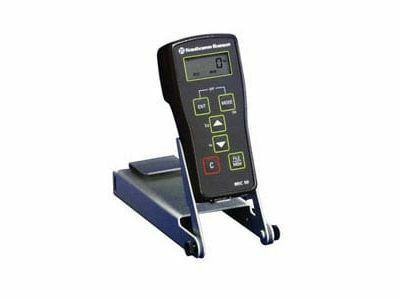 The Equotip 3 hardness tester has a rugged and shock-resistant plastic housing and the sealed membrane keypad keeps the instrument protected during the most demanding inspections. Extend your comfort and tool protection further with a protective bag.